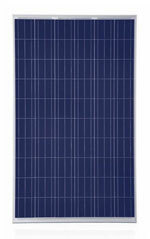 Heliosolaire offers you the Premium Diamond range of the Mitsubishi solar panel, the Japanese manufacturer offers the MLE series with several available powers of 255, 260, 265 Wp. Perfectly suited for large-scale photovoltaic projects on large roofs or solar power plant projects. The monocrystalline Mitsubishi photovoltaic modules are designed with photovoltaic cells and equipped with the technology of 4 “busbars” to optimize performance and offer high yields. The power of Mitsubishi monocrystalline photovoltaic panels is available up to 265 Wc, Mitsubishi photovoltaic panels are very well designed for connected applications in solar power plant or photovoltaic project on large roof. Thanks to its 120 cells, the Mitsubishi photovoltaic module is the ideal solution for any solar power plant project. Accompanied by a 25-year linear power warranty, Mitsubishi MLE series photovoltaic modules can generate a return on investment faster than conventional modules on your solar power plant project. 25-year linear power warranty for Mitsubishi MLE series photovoltaic modules. MLE-flyer.pdf The solar module manufacturer Mitsubishi Series MLE are photovoltaic modules very versatile, designed for both residential or business. This Mitsubishi solar module is a true value for money price for any solar project. Equipped with 120 monocrystalline photovoltaic cells available in 255, 260 to 265 Wp, the Mitsubishi photovoltaic module comes with a 25-year warranty.